Have you ever thought about your cows giving their opinion on your dairy unit? How they would actually prefer it to be in order to be less stressed and more productive. It records several hours of behaviour before taking it away. 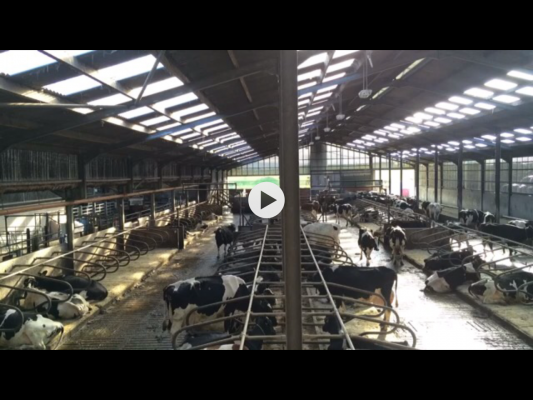 This is then watched and analysed for resting time, how cows enter and exit the cubicles, how easy the can access feed and water plus check the stocking density in the building and assesses of feed barrier and water drinker space is adequate too. The service has been useful on dairy farms already where dairymen can see potential for improvement. Also where improvements have been made before and after analysis shows, whether the changes were worthwhile or not. Andrew Wilson commented “at Wilson Agri. Ltd we put the farmer in control of his herds behaviour”, where things aren’t working the camera simply doesn’t lie and it is incredible the things which become clear when watching it, we have seen new units not performing as expected and gave solutions. It’s currently a free service which gives more information than facts and figures on a page, the video records everything so you can view everything that is an obstacle to natural behaviour. Wilson Agri. Ltd is building an archive of these videos as a source of information so when you are considering to renovate or plan a new building, you can view a lots of the pros and cons of various ideas and systems without just taking someone’s word for it. Often clients have made improvements which have lifted yields by 2litres/cow/day, reduced lameness, increased dry matter intake and reduced mastitis.